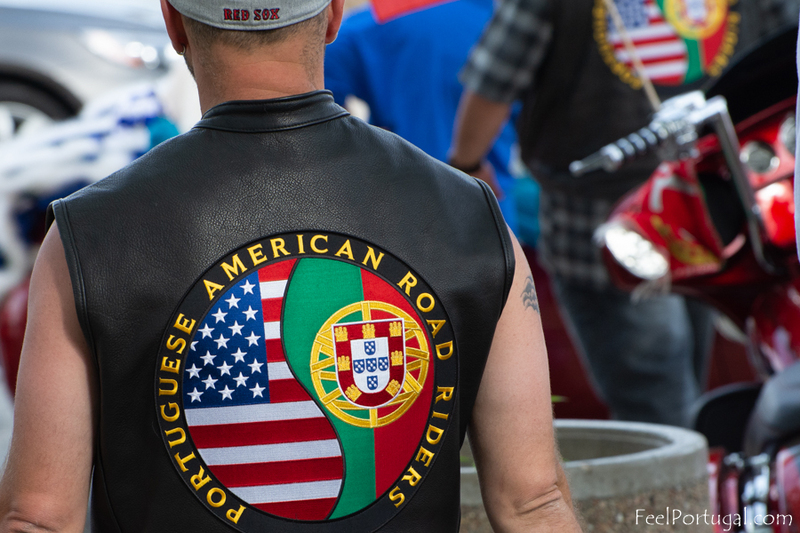 “I am honored to be a part of this group… we are all like family,” said Kenny Costa, President of the Portuguese American Road Riders (PARR) while explaining his involvement with the group of riders from Lowell, MA. 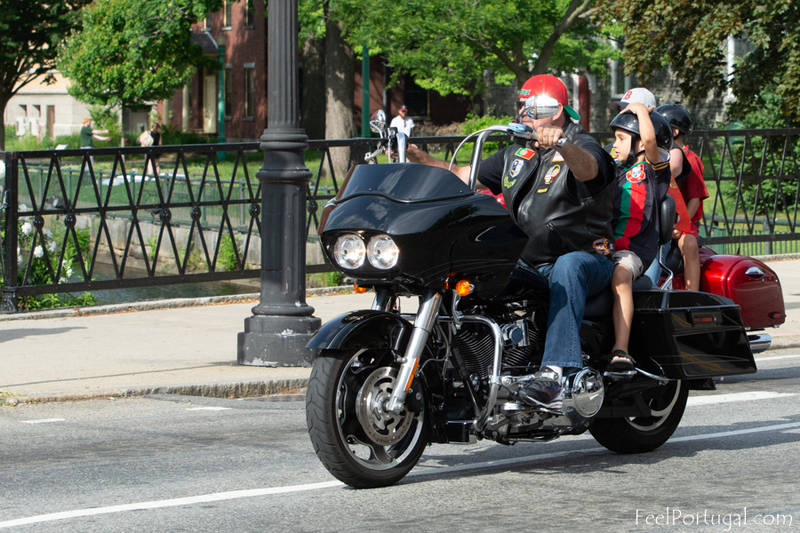 The occasion was the 13th Annual Benefit Run to help the children of the Paiva/Flores family. 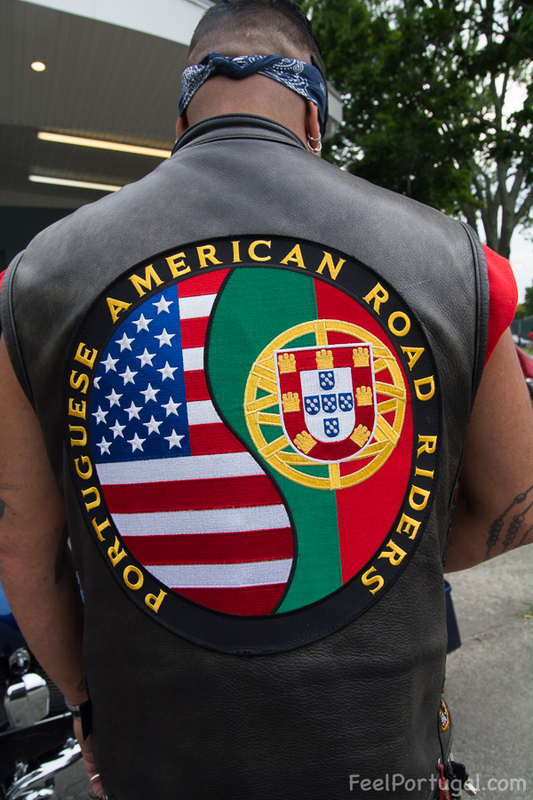 The event was organized by the Portuguese American Road Riders and took place on Saturday, July 14, 2018. 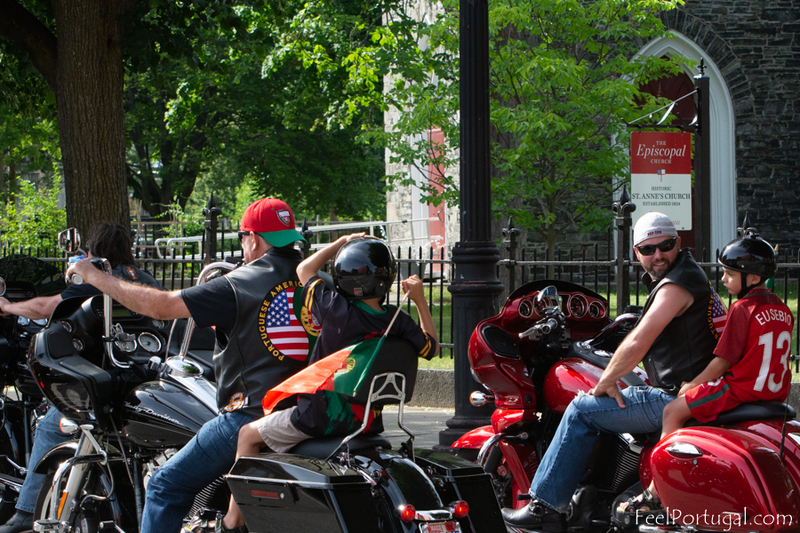 Riders and participants met in the morning at the Holy Ghost Park in Lowell. 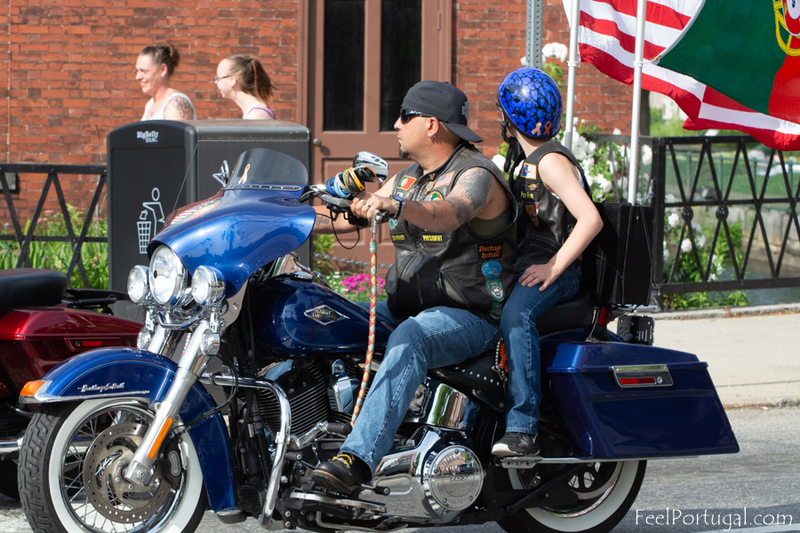 After their bikes were blessed, they departed on a 75 mile round trip through MA and NH stopping at Stumble Inn in Londonderry, NH. They then returned back to Lowell for food and entertainment. At the end of a beautiful sunny day, for a motorcycle run, Feel Portugal had the opportunity to spend the afternoon with the riders at the Holy Ghost Park. Here we learned about the mission of this group. 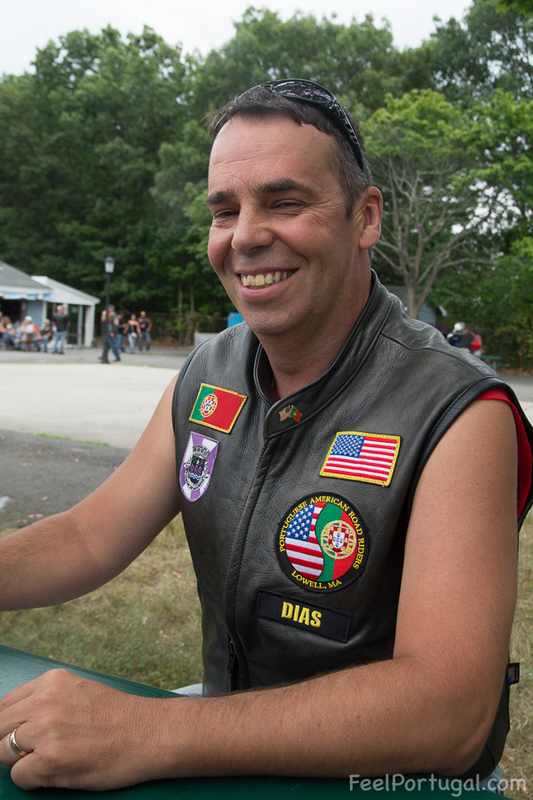 PARR’s motto is “to help the Portuguese American community,” said Costa. 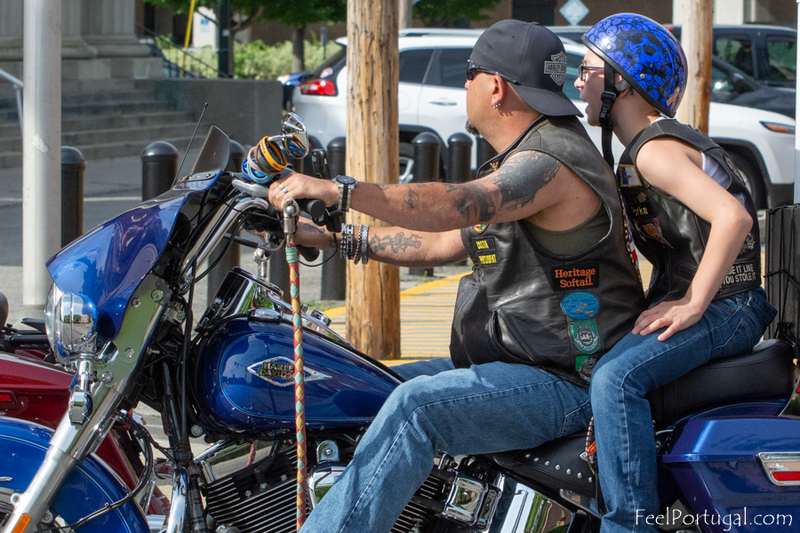 Their principal activity is riding in benefit runs including their annual benefit ride. Every year the club members choose to benefit children of a family in need. That decision is made by the club members every January at their first annual meeting. This year PARR chose to help the Paiva/Flores children whose father has stage four colon cancer and their mother is unable to work full time due to the father’s illness. The three Paiva/Flores children are dedicated students who need financial assistance to continue their education. 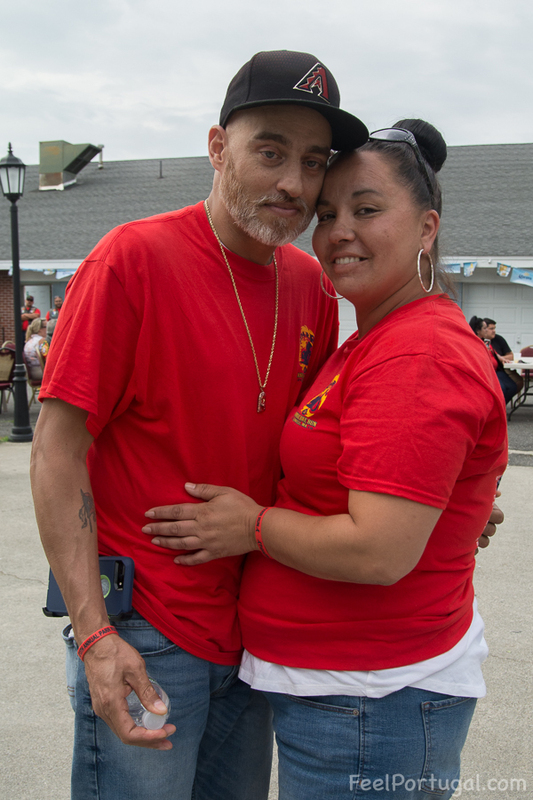 The organization has a goal of raising $10,000 by Labor Day and to deliver the donation check to the family at the feast of Nossa Senhora do Loreto in Lowell in September. Kenny Costa said the fundraising is going well thus far. Many people have contributed and he’s expecting many more donations from the community until the feast. If you would like to make a donation please contact PARR. 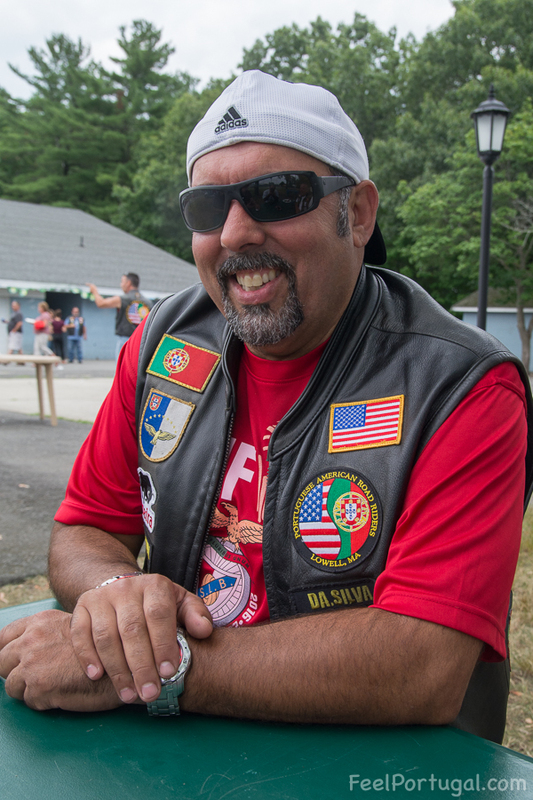 PARR president, Kenny Costa, explained that to become a member of PARR the rider has to be a male and Portuguese or a Portuguese descendant; be involved in the local community or have a desire to help the community; commit to 4 annual member meetings; participate in at least one benefit run per year and his motorcycle has to be at least 500cc. 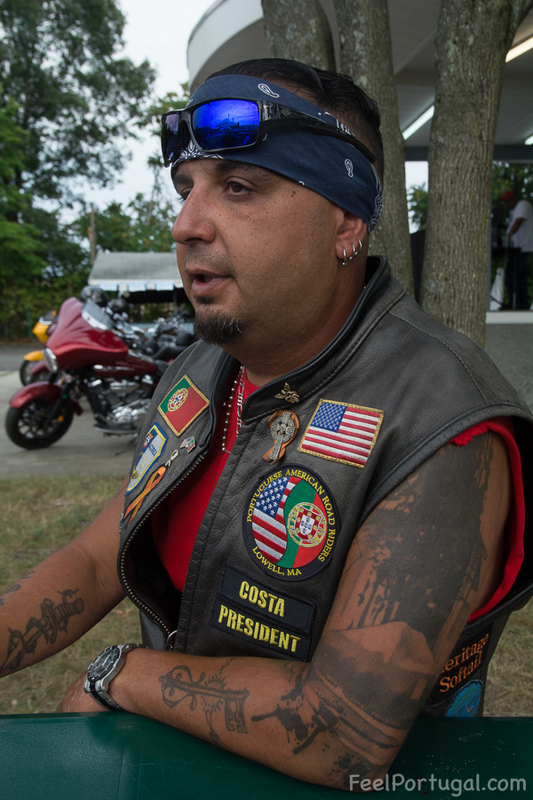 Costa is a Luso-American born in Somerville. His parents are from Pico, Azores. His father is from Sao Roque and his mother is from Lajes. He joined the club 7 years ago and about 1 year later he became assistant road captain. After 2 years as road captain, he became vice-president and was recently elected president and “Here I am today as president,” said Costa, who humbly also noted that “Did I ever think I was going to do that? No!” He was mentored by Tony DaSilva, a PARR founder, and Mário Figueiras for whom he has his utmost respect. 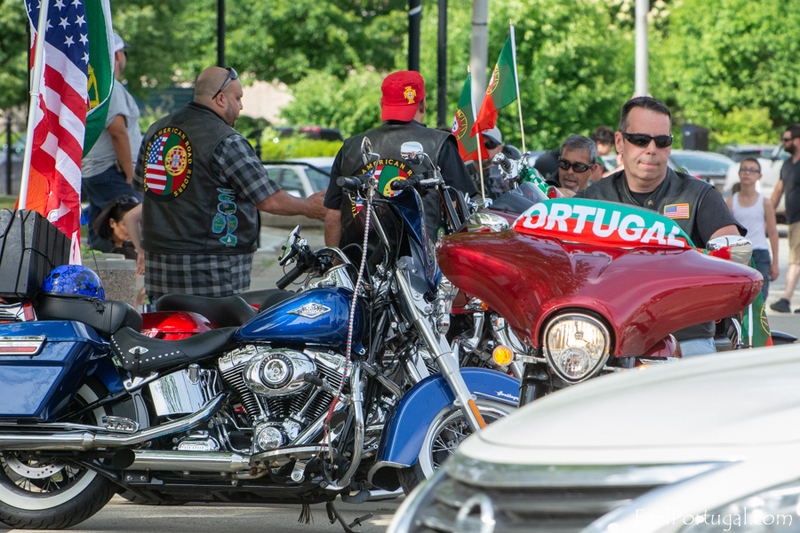 Currently, the members alternate their monthly meetings between the Portuguese American Center (Blues Club), and Portuguese American Civic League (Reds Club). PARR is very appreciative of the collaboration and support provided by these two long-standing Lowell community clubs. 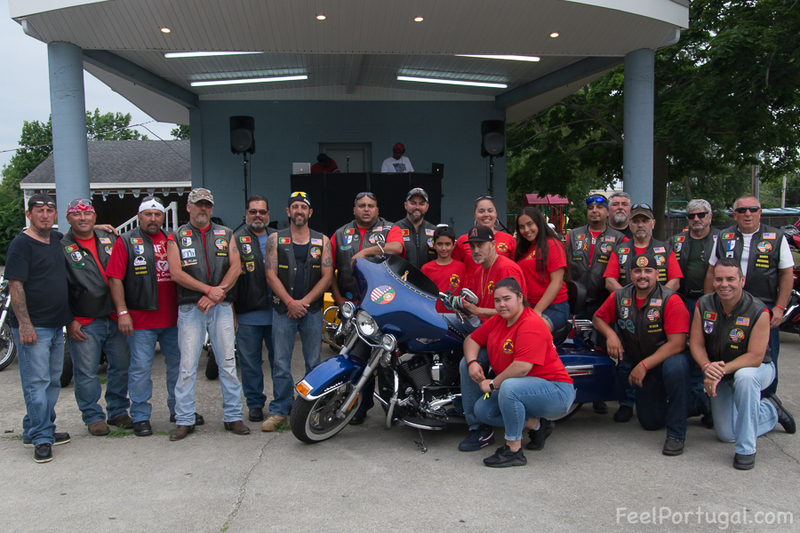 More than just a motorcycle riding club, members and their families are a social network of friends of similar heritage and values who enjoy each others company and often socialize together. In Kenny’s case, his mentor Tony DaSilva was the best man at his wedding. Also, some of the members spend vacations together. A good example is their next ride to Virginia Beach. 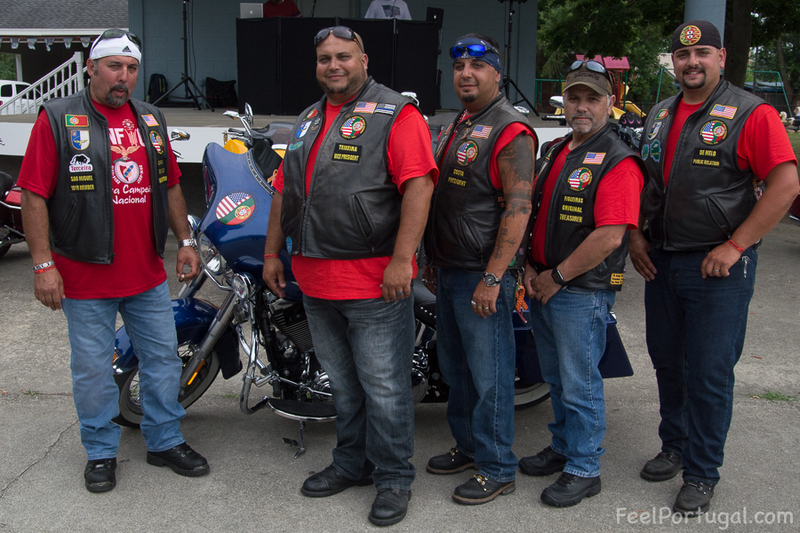 This 16 hour ride on August 18th is organized by Peter Soares, one of the oldest members of the club. Roy Dias, one of PARR’s newest members, got in the conversation and said: “it doesn’t have to be a Harley.” Roy who owns a Yamaha, kiddingly added “I wouldn’t buy a Harley if you gave me one” and everyone had a good laugh. Roy also said that he is happy for having joined the club especially for the spirit of friendship and brotherhood. He went on to say that all the members are respectful of each other’s opinions and choices. We had the opportunity to hear from Tony DaSilva, one of the founders, about how he founded the club in 2006. 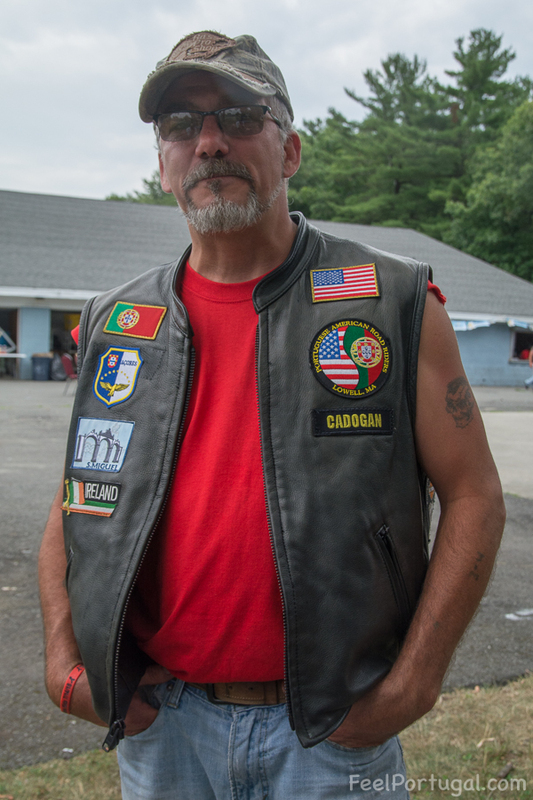 He said that in the early 2000s many Portuguese Americans in Lowell and the surrounding Portuguese communities had an interest in riding motorcycles. 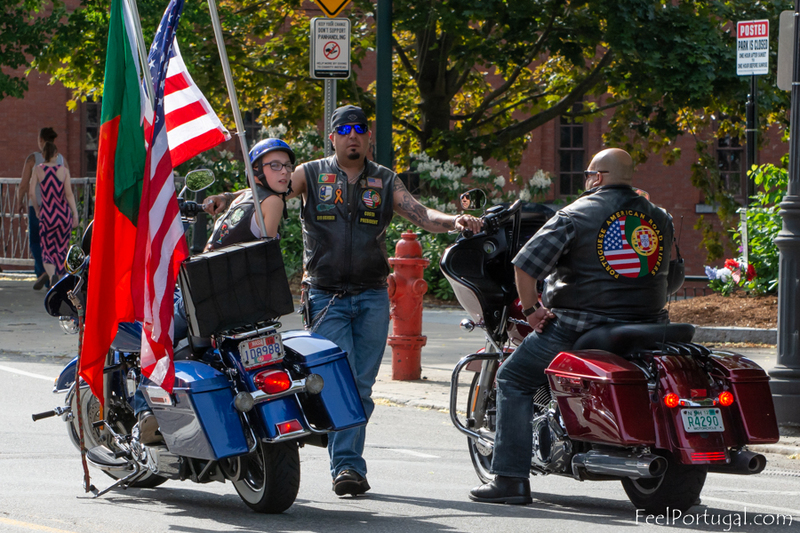 At the time many riders gathered at places like the Blues Club, Reds Club, and the 4 Seasons Restaurant in Lowell MA. 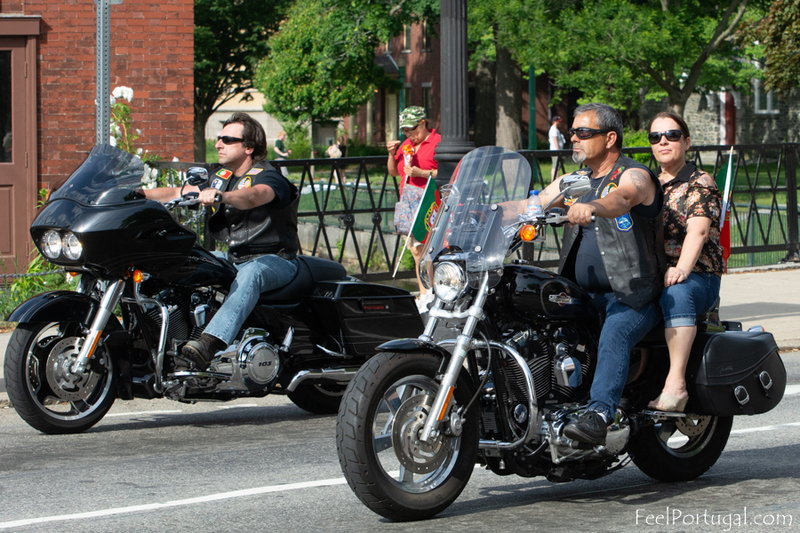 There were other rider groups in the area at the time but he didn’t like the way they were run. He decided, in collaboration with Walter Borges, to create their own club with the objective to help the kids in need from Portuguese families. Over the past 13 years, there have been numerous stories of success where PARR’s help made the difference in the lives of children. 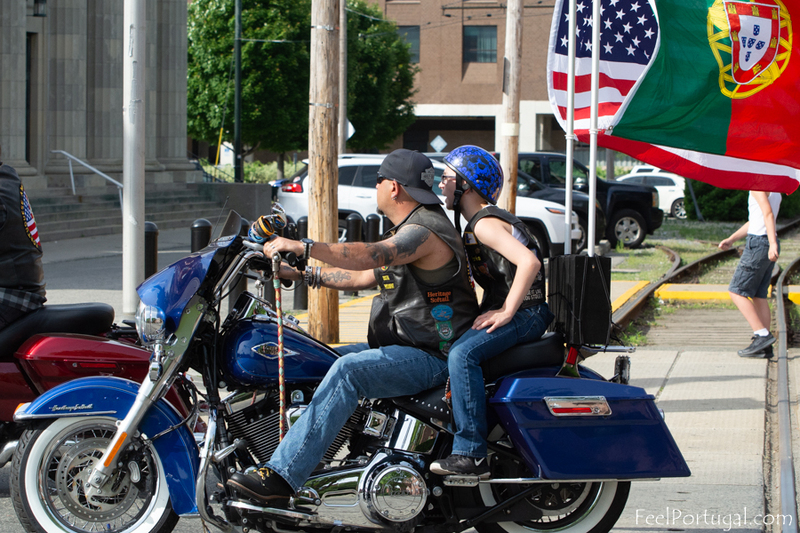 Tony described a case of a 7-year-old girl from New Hampshire who had a rare type of cancer in her stomach and they helped her and her family to raise funds for her treatment. Years later they are still in touch with the family and have learned that she is cured. 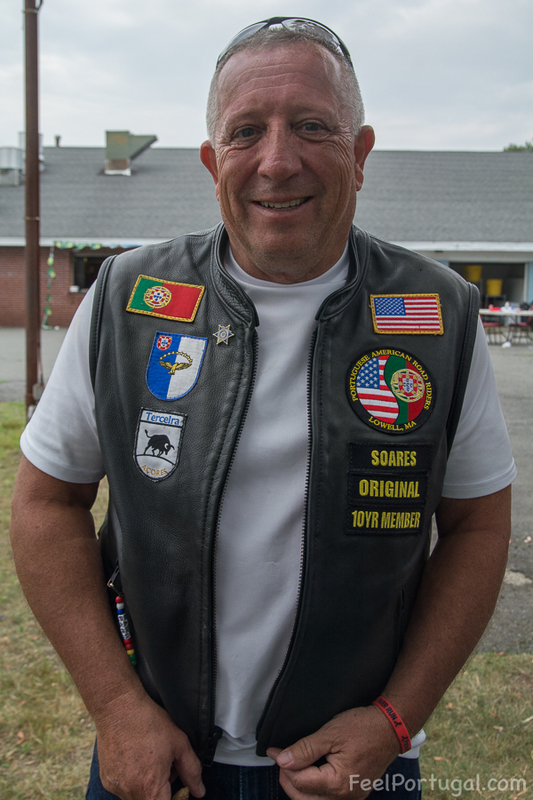 Peter Soares said that he remembers a girl from Tyngsborough who became paralyzed from a big accident a few years ago. At the time PARR helped her to obtain a wheelchair. Peter and Tony said that she is recovering through many surgeries and they are still helping to generate funds with other organizations to benefit her. They told us that her mobility condition is improving and she is now able to move her arm. 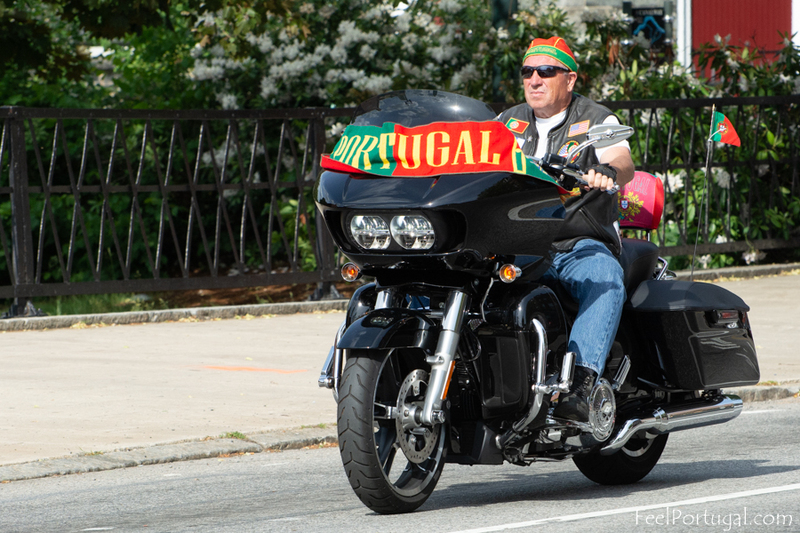 Today, PARR has about 30 members and continues to look for new members who share the same passion for the Portuguese heritage and values, and a love for riding. 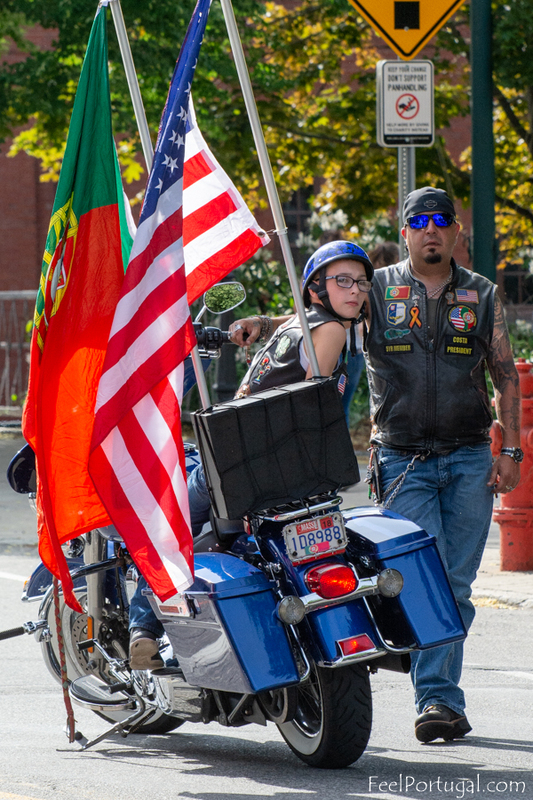 Club members are also members and supporters of the Holy Ghost Society of Lowell, the Portuguese American Center of Lowell, MA (PAC), and the Portuguese American Civic League of Lowell, MA (PCL). 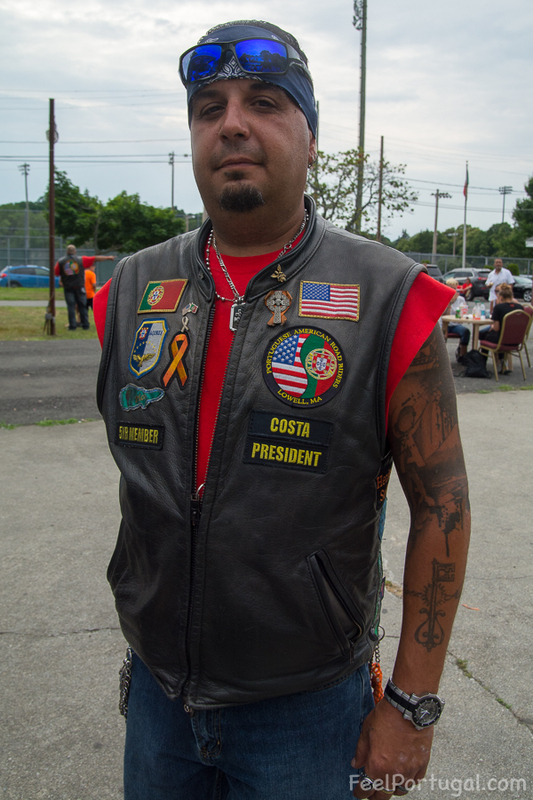 The bike group’s patch was the concept of Tony DaSilva one of the original group founders. 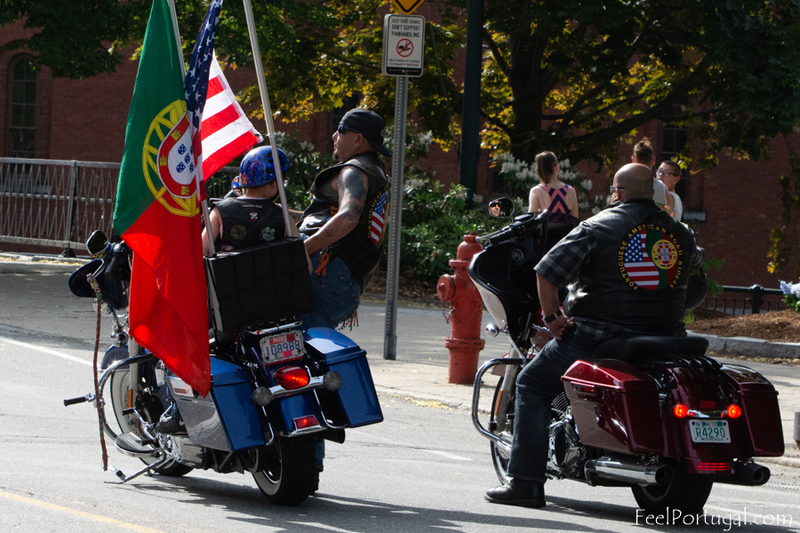 The Portuguese and American flags are displayed in yin-yang style showing the balance of both cultures. Steve Mendonca who designed the club’s logo and also created the group’s website. Joel Espinola of “Joel’s Printing Design” for contributing his time and printing all the benefit run t-shirts.